The big twist at the end of 2007’s “Eastern Promises”—that Viggo Mortensen’s character, a Russian gangster named Nikolai, is really working for a British intelligence service—raised as many questions as it answered. Now director David Cronenberg is looking to explore those open possibilities as he dives back into the world of the Russian mafia with an “Eastern Promises” sequel…. It’s the first time I’ve ever been in a situation where I actually want to do a sequel to something. I’ve never had the desire to do that before. But in this case, I thought we had unfinished business with those characters. I didn’t feel that we had finished with Nikolai and we had done a lot of research that was more than we could stuff into that one movie. 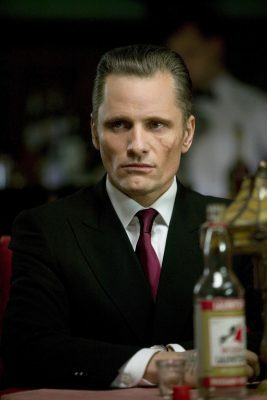 Cronenberg indicated that Viggo Mortensen’s character, Nikolai, will be the focus of the new movie but that it is too early to tell whether other central characters from Eastern Promises would be included.